What a fantastic display hydrangeas make! Our stand of hydrangeas in full bloom has certainly drawn alot of comments at the markets we have been to recently. At home, our shade houses and stockbeds are in full bloom too. It is a great time for you to visit the nursery to familiarise yourself with the individual varieties up close. The markets have been a new experience for us. So far we have been to the local SPCA market held in New Plymouth on a Saturday morning, and we had a stand at a recent fair at Tupare Gardens. Tupare is an iconic heritage garden with a Chapman-Taylor house, now owned and managed by the Taranaki Regional Council. 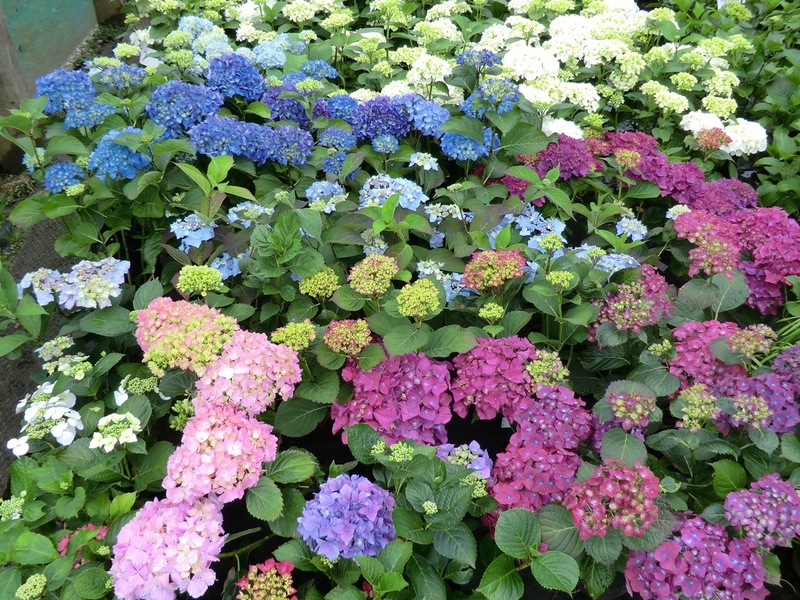 The garden is situated in New Plymouth and has wonderful drifts of hydrangeas, which complemented us and our stand on market day! One thing we noted with markets is that customers tend only to buy what they can carry, where our door-to-door mail-order customers have no such limitation. This entry was posted on 18 December 2012 by Michael Jeans. It was filed under .